According to the deputy of Léogâne Jean Wilson Hippolyte, President of the majority group (Parliamentary Alliance for Haiti - APH) of the Lower House, it is urgent that the Executive considers a real reorganization of the Government to promote the integration of other sectors. Regarding the exclusion of 16 advisors from the Cabinet of President Moïse https://www.haitilibre.com/en/news-25903-haiti-flash-president-moise-reports-4-orders-concerning-the-appointment-of-16-advisers.html "We take note of this gesture of the Head of State to remove from his cabinet some people suspected of being accountable in the context of the PetroCaribe file. We demand he continue to get rid of them." Moreover, the President of the APH demands that the Government put at the disposal of justice all the necessary means in ordder it will be able to carry out its work towards the PetroCaribe trial. 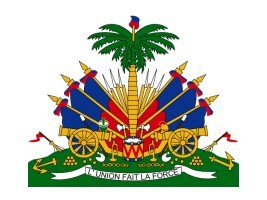 The APH puts pressure on the Executive, deputy Hippolyte launches a warning to the Head of State to his Prime Minister that if they want to continue to have the support of the Majority Group "We demand concrete actions and the taking account in the totality of our requirements in order taht we remain in solidarity to the Government."